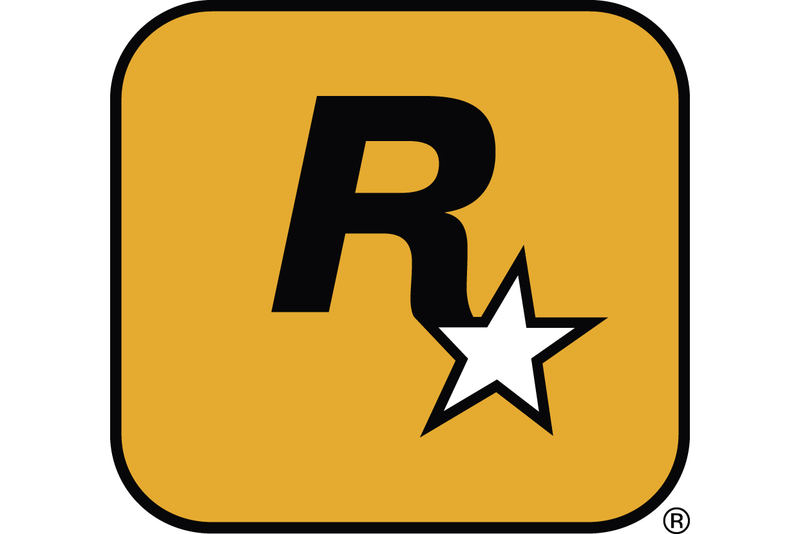 Sausalito, California based publisher and developer Red Mile Entertainment was formed in 2004, and released its first game, the IR Gurus developed Heroes of the Pacific for Xbox and PS2 late the next year. The title was followed soon after by PSP racer GripShift, developed by New Zealand based Sidhe. More recently, the company has announced its acquisition of licenses for Jackass, the popular MTV stunts TV and movies series, and Sin City, the Frank Miller graphic novel series and movie. Jackass is currently set for a September release on PSP, DS and PS2, with much less known about Sin City - Red Mile is reluctant to even reveal the platforms the game is headed to at this date. Gamasutra spoke to Red Mile�s CEO Chester Aldridge recently, and asked about the company�s history, the risks in working with licensed properties that have existed in the public eye for some time, and the expectations for the success of the games. When was Red Mile formed, and what were the long term goals for the company at that time? Red Mile was founded in August 2004. Our long-term goals, then and now, were and are to become one of the video game industry�s leading publishers by building major video game franchises based on IP that we own or control. What challenges did you face in setting up an independent publisher? The key challenge was finding a way to compete with the 800-pound gorillas of the industry. We had to punch above our weight in several respects: to show we can publish high-quality games, enabling us to sign rights to the best intellectual properties thus allowing us the chance to attract the right development talent to make the best games that would give us the ability to compete at retail. I�m happy to say that we�ve managed to do that, as proven by Heroes of the Pacific, which was released in late 2005 to critical acclaim and continues to be a strong seller; by GripShift, which remains one of the few truly original titles on the PSP and garnered praise for its innovative design; by Jackass: The Game, which releases this September and is being extremely well-received by the press and retailers; and by Sin City, for which we announced video game rights recently. That is going to be a huge game for us. We�re also working on other significant properties � watch this space. How did you go about organizing co-publishing agreements and sourcing titles from developers? Our first goal was to put all our efforts into the creation of the games themselves, which was critical for a small company with limited resources. So with Heroes of the Pacific and Gripshift we were fortunate to be able to lean on the publishing resources of our excellent co-publishing partners, Ubisoft, Sony Online Entertainment and Codemasters, while we focused on delivering the best games we could. Since that time we have grown our publishing arm with a number of key hires, and are now in a position to self-publish titles including Jackass, which give us greater financial upside if they are as successful as we expect them to be. As for developers, we are continually searching for the best talent � just like any other publisher � with the goal of matching their skills with the expertise and experience of our in-house producers. We were fortunate to find two diamonds in our search for developers and titles, in IR Gurus (Heroes of the Pacific) and Sidhe (Gripshift). On both occasions, the combination of our respective skills was greater than the sum of the parts. For example, with Heroes of the Pacific, our internal producer Yas Noguchi brought years of experience as a producer at Namco on the Ace Combat franchise to bear as we helped IR Gurus to combine their technical expertise with our production know-how. When we take the risk on original IP, we like to negotiate the option to buy the studio, so that we are able own or control the development resources to maintain the quality as we build the franchise. What did you learn from the experiences with your first few games? Are there things that you would have done differently if you were releasing the titles now? One thing we learned is that it doesn�t matter how great your games are, you have to make sure people know how great they are. This especially applies to games that don�t have a strong brand to do some of the heavy lifting for you. With a game like Jackass: The Game, we know that the world is watching us � gamers have high standards, they want to see us do justice to the property. But fundamentally they know Jackass: The Game is coming and they can�t wait. With some of our other games, we could have done a better job of getting them into the hands of the press earlier on to ensure that they got the broad coverage they deserved. GripShift, for example, is widely hailed as a cult classic. That�s great, but we�d rather it was remembered as a blockbuster! Were you satisfied with the reactions to the titles? On a critical level, we are pleased that our games have been so warmly received, but we know we have to continually raise standards. On a commercial level, we�re never satisfied of course, but our first big test � Jackass: The Game � is ahead of us. What inspired you to source the licenses for Jackass and Sin City, and how did you go about doing it? Jackass and Sin City are two fantastic properties that are an absolutely perfect fit with video gamers. They are also properties that we feel are timeless. Jackass is a cultural phenomenon. It is the brand for gross-out action comedy. It has expanded beyond its skateboard, magazine and TV roots into two hugely successful movies - the second, which released last year, was even bigger than the first - and is a massive seller on DVD. And its relevance has gone far beyond Jackass itself, spawning legions of copycat TV shows and becoming a cultural icon. It embodies many characteristics that make it perfect for a game � it�s bigger than life and it�s always pushing the boundaries. We were able to sign Jackass by proving to MTV, before the second movie was even conceived, that we wanted to make the game the next giant leap for the Jackass brand. We believed we could take Jackass and push it even further, and we think we�ve achieved our initial goals with the first games that are coming this fall. Likewise, Sin City is perfect for a video game. It�s based on an incredible, and much-loved, series of stories set in a rich world populated by deep, complex characters. We�re fortunate to be working with Frank Miller himself to bring new ideas and perspectives to the design. We�re going to blow people away when they see what we have planned. Sin City has a huge and dedicated following, and we know that if we can win the fans over, we can dramatically increase the profile of Sin City and make the game a huge success. Were there - or are there - any concerns that you might have obtained the licenses too late for them to be truly successful? After all, the Sin City movie came out in 2005, and the last Jackass film was almost a year ago. In short, no. We believe both properties are timeless. But more importantly, we are not in the business of making games based on marketing �events� such as movie releases. We�re not making a game based on Jackass 1 or Jackass 2, we�re making a great game based on the spirit of the brand. We signed Jackass before the second movie was even announced. Our licensing strategy has been validated by the unbelievable response we�ve received to the announcement of the game. Before we�d even shown Jackass: The Game to anyone, we were generating staggering levels of site traffic and gamer feedback on the forums of the popular gaming Web sites. Of course, the same questions came up, from gamers and journalists alike. Would we be able to deliver a great game? Based on initial feedback from our press tour, we are extremely encouraged. Everyone is saying the game is a lot of fun � and I think we�ve surprised a few people. Sin City re-emphasizes our licensing strategy. Again, we�re not making a game based on the first movie, or the rumored sequels. We�re taking the spirit of the Sin City universe and creating original and compelling games, with the help of the creator himself, Frank Miller. Do you believe that you have saved money in licensing fees by obtaining them at this later date? As a public company we can�t comment on the financial aspects of the deals. Sorry! What degree of success are you assuming for these two games? Based on retail buyer feedback, pre-orders at the specialist game retailers and feedback from the platform manufacturers, we have extremely high hopes for these titles. The PS2 game is releasing at a perfect time to capitalize on the vast group of PS2 gamers who are looking for original, entertaining titles this fall. The ability to create, save and trade TV-like replays on the PSP is also proving to be a hugely in-demand feature. The thing that�s most in our favor is that we have very limited competition in the category, which means the sky is the limit for the games. To what degree will the success of the licensed properties affect the corporate direction Red Mile takes in the future? That is, will you move away from licensed titles if these two games are less successful than expected? We are building a business that combines externally licensed games with internally incubated franchises. The key is not so much whether the franchise comes from outside or whether it comes from inside, but how big we can grow it. Having a brand with massive awareness, like Jackass and Sin City, certainly helps to build Red Mile�s profile rapidly, but ultimately, it�s the quality and long-term potential of the franchise that counts. To that end, we hope that �from the maker of Jackass and Sin City� will come to be synonymous with delivering great games, whether licensed or not. Why did you decide to release Jackass on PS2, PSP and DS, rather than next-gen systems? How important, in a financial sense, are these platforms and their established user-bases to Red Mile? The Jackass title will be aimed at PS2, PSP and DS because these platforms each offer huge opportunities for us this year. Red Mile�s team is comprised of individuals that have long experience in the game business; many of us have been through a number of console transitions. We remember well that when PS2 launched, many publishers exited the original PlayStation market too early, leaving a large void that was exploited by more nimble publishers with great success. In many cases the same thing is happening again as the PS2 generation transitions into the PS3/Xbox 360 generation. The market is not growing as fast as many publishers expected, but still the bulk of publishing activity is switching to the new formats. However, PS2 offers Red Mile a far bigger audience, especially for a property like Jackass. More than 38 million PS2 consoles have been sold in the US alone. As of May 2007, fewer than 10 million next-gen consoles combined had been sold between Xbox 360, PS3, and Wii. Publishers ignore the PS2 market at their peril. With PSP, we believe that fundamentally Sony has a great platform on its hands and that it will prosper for many years to come. One thing that we keep hearing is that the catalog of genuinely innovative PSP titles is quite small. That�s something we�ve addressed directly in Jackass: The Game with a number of PSP-exclusive features, including the replay editor mentioned above. As for DS, it will outsell all other systems in 2007. What platforms are you releasing Sin City for? We haven�t announced platforms yet. What does it mean to the project that you have the support of Frank Miller? What level of involvement does he have with the game? This is absolutely huge for us. Frank is a creative genius and we are fortunate to have his input. Already, Frank has been involved in concept design and storylining, and we�ll be able to show the gaming community the positive impact of his involvement in the near future. Are there other licenses that you would like to develop in the future? Absolutely. We are working on a number of other licenses and internally developed properties that we�ll announce over the coming months.